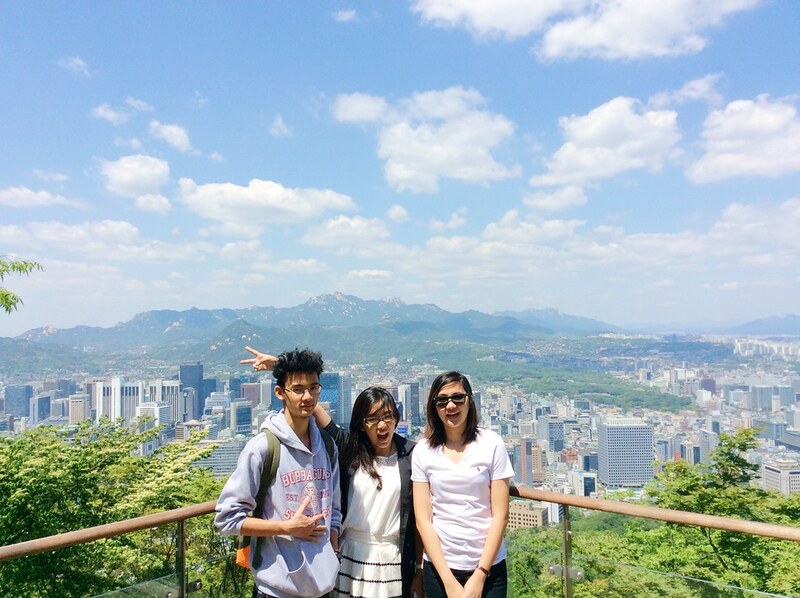 To end our Seoul searching trip, we never missed to see Seoul in it’s highest point, in Namsam Mountain. I think it is the best spot, with it’s bird’s eye view, to say goodbye to another beautiful city I enjoyed. 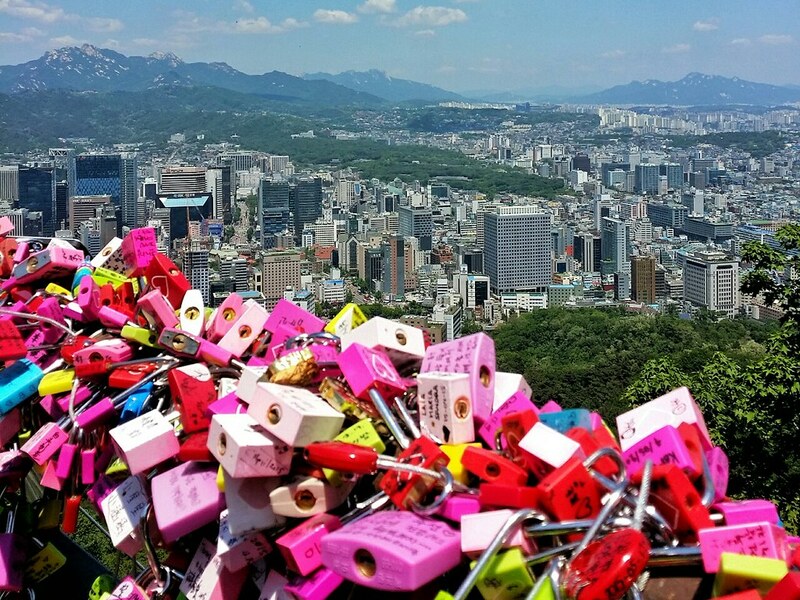 It is the home of the love locks you saw in your favorite Korean dramas and to the beautiful Namsam Tower. The view in the cable car station. Yes, you’re really going to walk uphill. The are provided shuttle bus (KRW 1,200) in different train stations in Seoul. You can found the infos here. 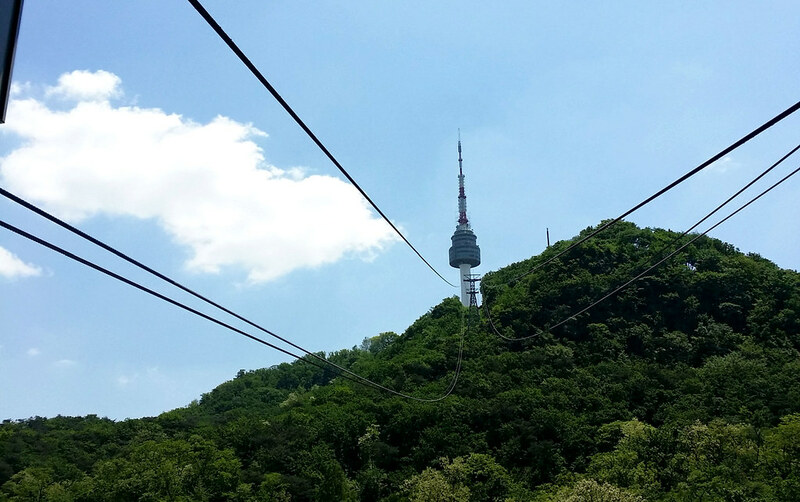 What we personally did is ride the cable car (KRW 8,500 RT). 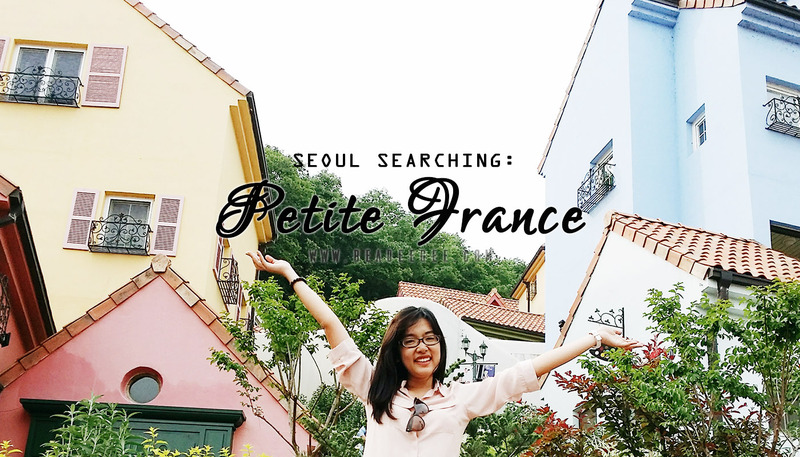 Go down to Myeongdong Station exit 3 (train fare: KRW 1,050). Use the road to the right of Pacific Hotel and walk uphill for 15 minutes. 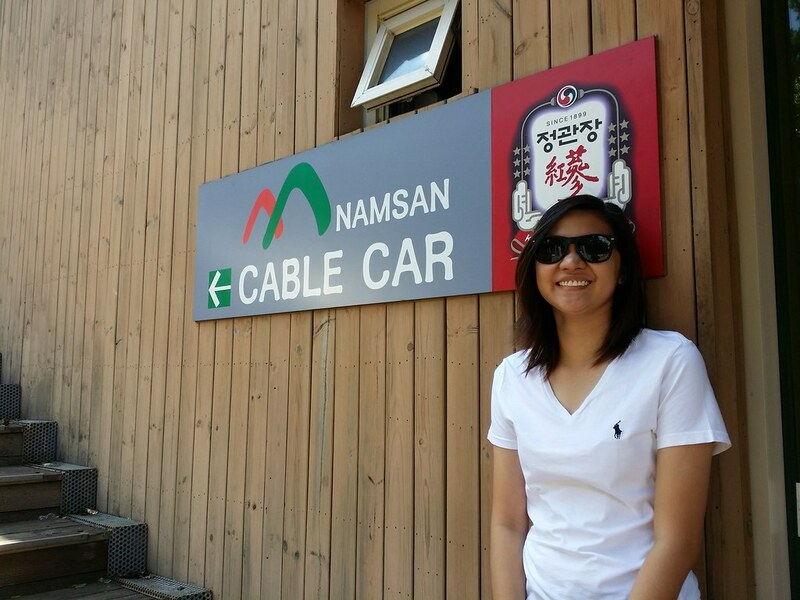 My parents got tired by just walking to the cable car. So if you’re travelling with old people, I heard there’s a shuttle bus to the cable car in exit 7 or 8. 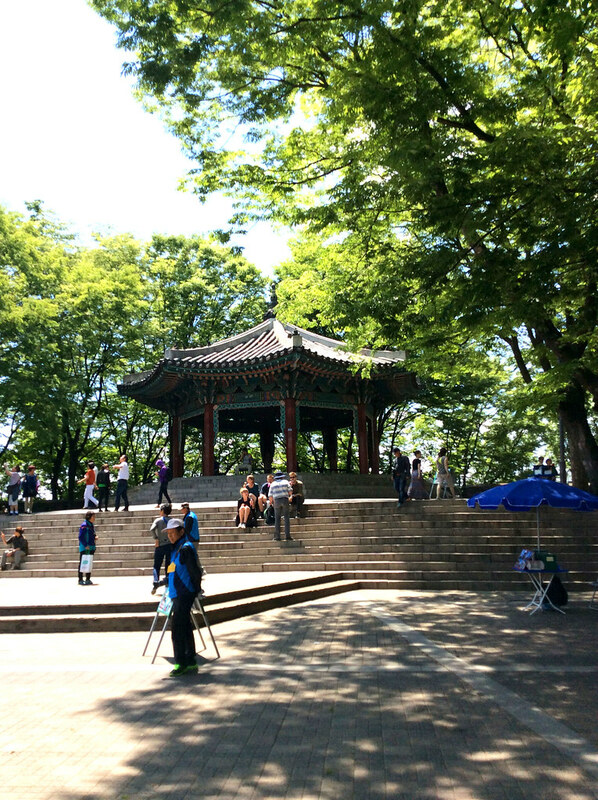 Another one and only advisable to the active fit people is to hike Namsan Mountain. Don’t worry for it is cemented and very pretty during cherry blossom season. 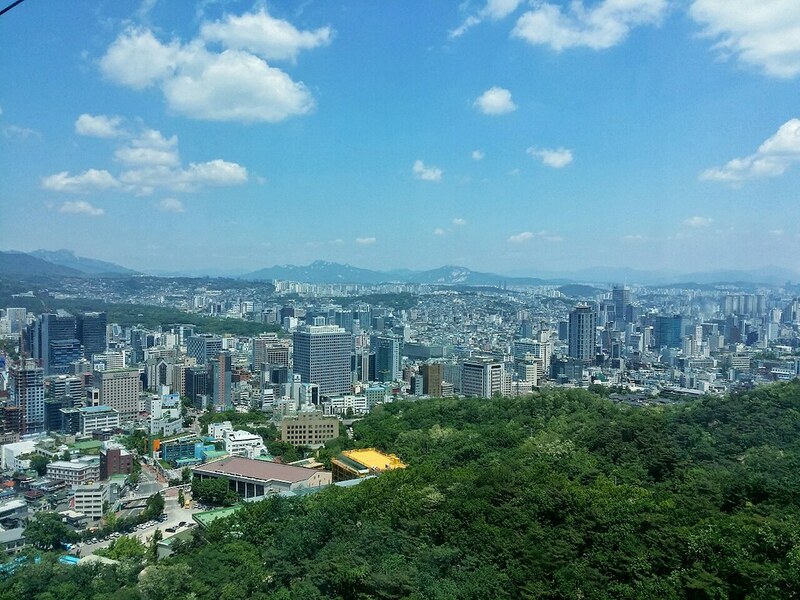 Our view while riding the cable car. No one to share this chair. 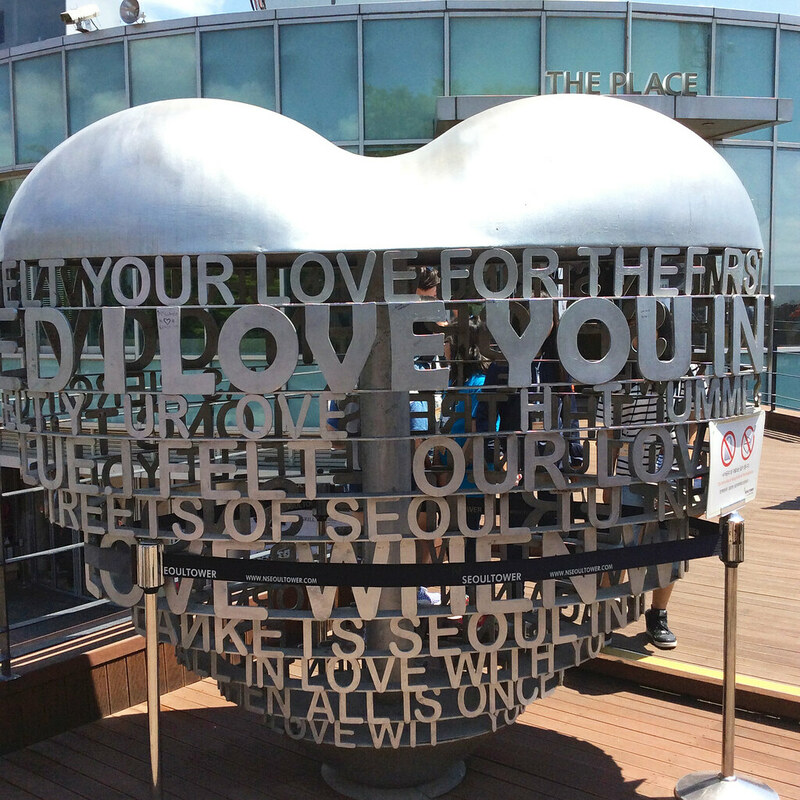 Being in Seoul for 5 days, I saw how Koreans love showing affection to their significant other in public but it is in N Plaza where you can witness it most. Thousands of love locks and couples declaring their eternal love are everywhere that made me me miss my monkey terribly. 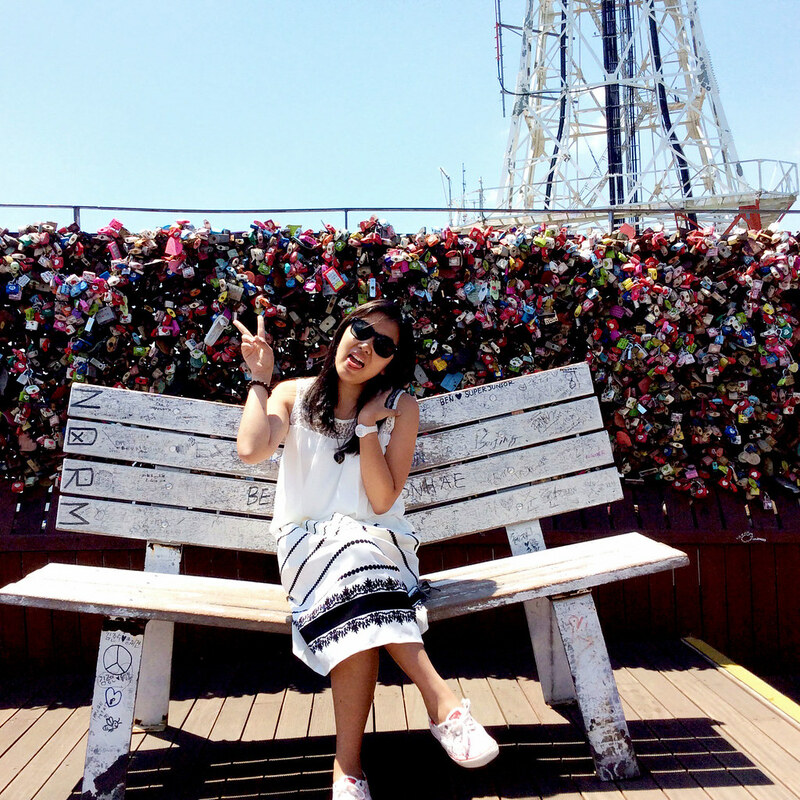 Different shapes and sizes of love locks are sold with 200 pesos as the cheapest. They are very easy to open though. I should have brought a YALE for this. 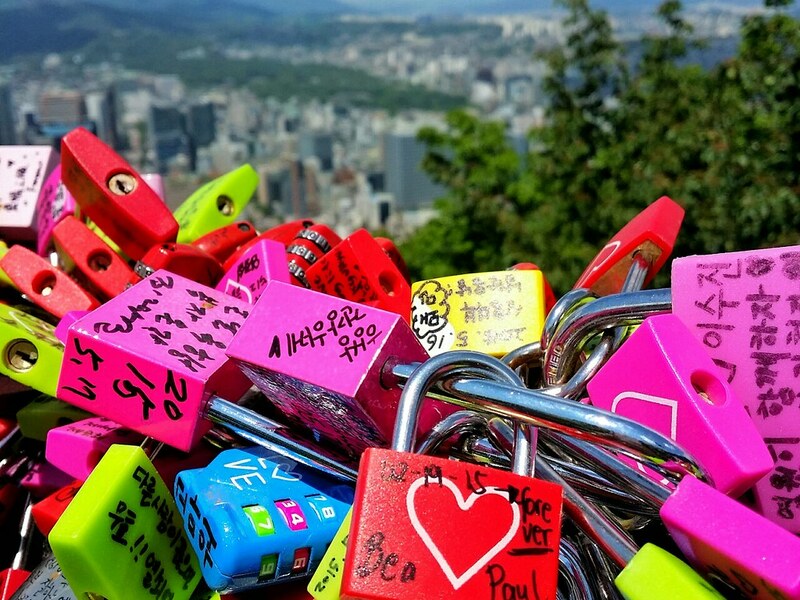 But I bought a red simple one and wrote my name and Paul’s while believing with the Koreans that a love locked here will be forever and hoping that someday I can do this again with him beside. Please also note that it is not permitted here to throw the keys from above. And of course, I have this thing with communications towers. I actually never thought of a tower to be romantic and beautiful since I set my foot here. 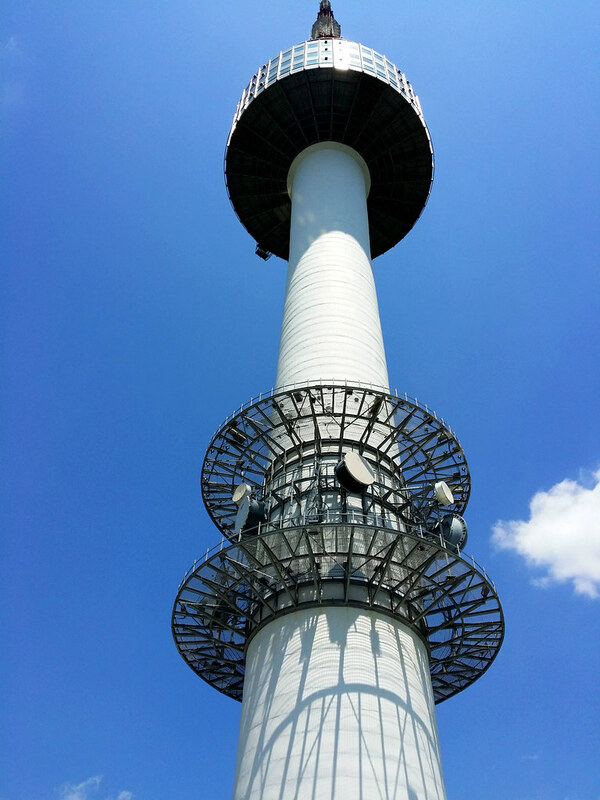 I didn’t got the chance to go up in the observation deck but it costs KRW9,000 or around 360 pesos. 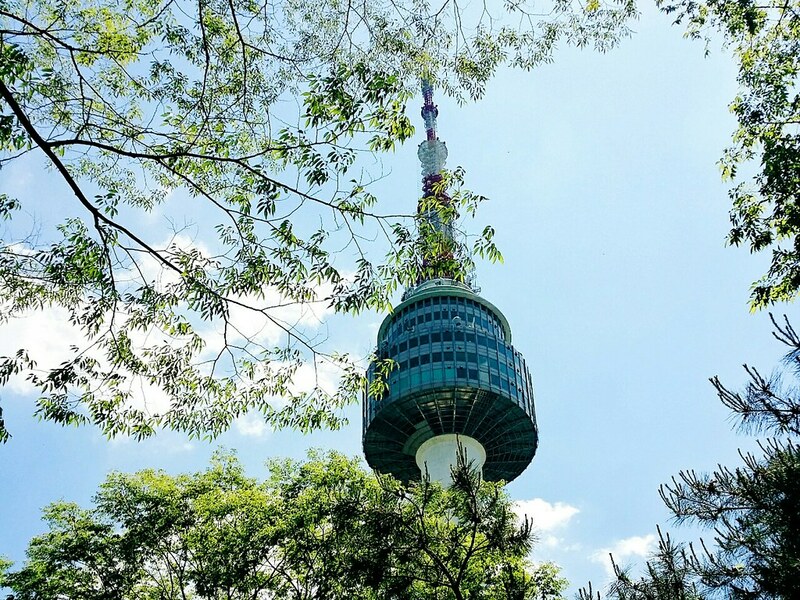 Above, you’ll see the 360 degree view of Seoul. 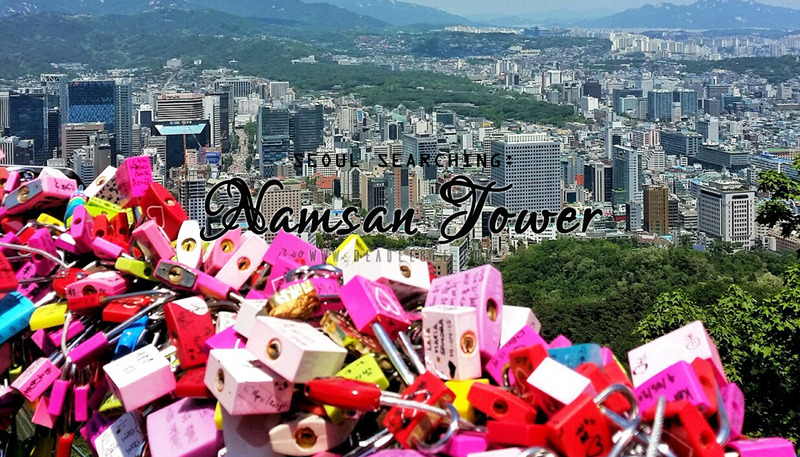 There’s also a romantic restaurant in Namsam Tower, Hancook Restaurant. If you’re a My Love from Another Star die hard fan like me, you’ll remember this place where Song-Yi was poisoned with her wine. 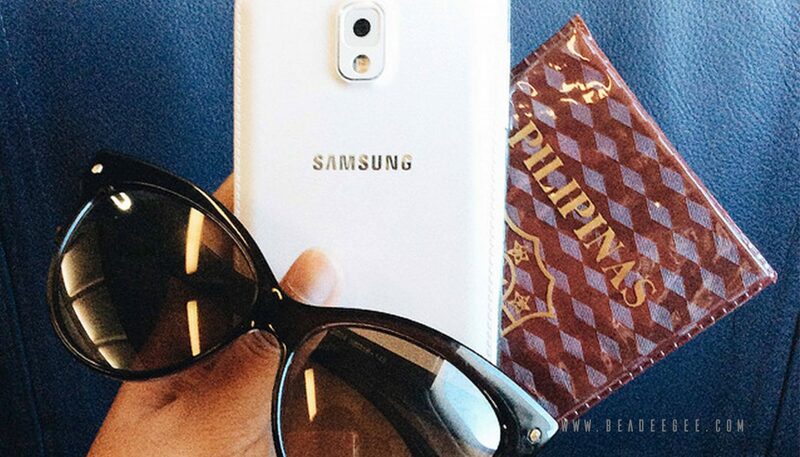 But if you’re travelling as a family in a tight budget. 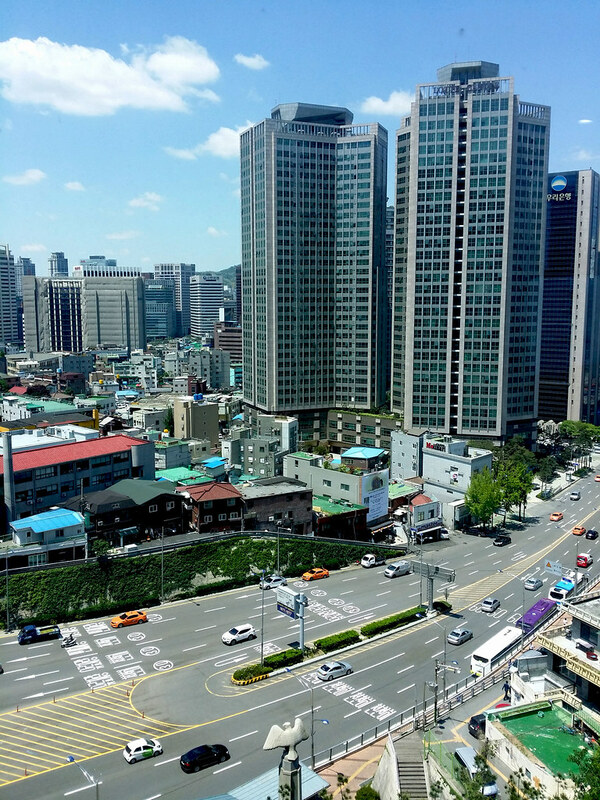 N Plaza will be enough to see the whole Seoul for they have overlooking terraces already. 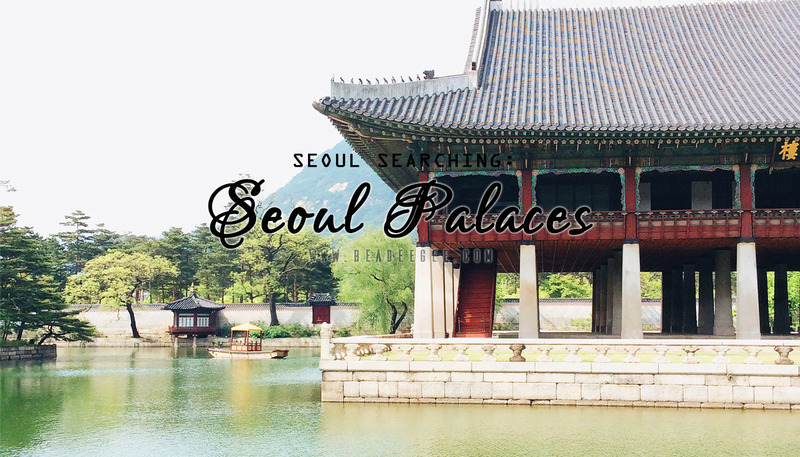 One thing I recommend is to go here around sunset time so you can witness it in day and the city and tower lights after.